CD Genomics provide services for methylation arrays designed by the world-class platform in this field. The methylation arrays most often selected by our customers are CpG island/promoter microarrays, promoter microarrays, and microRNA DNA methylation microarrays. DNA methylation is essential for normal development and is associated with a number of key processes including genomic imprinting, X-chromosome inactivation, suppression of repetitive elements, and carcinogenesis. 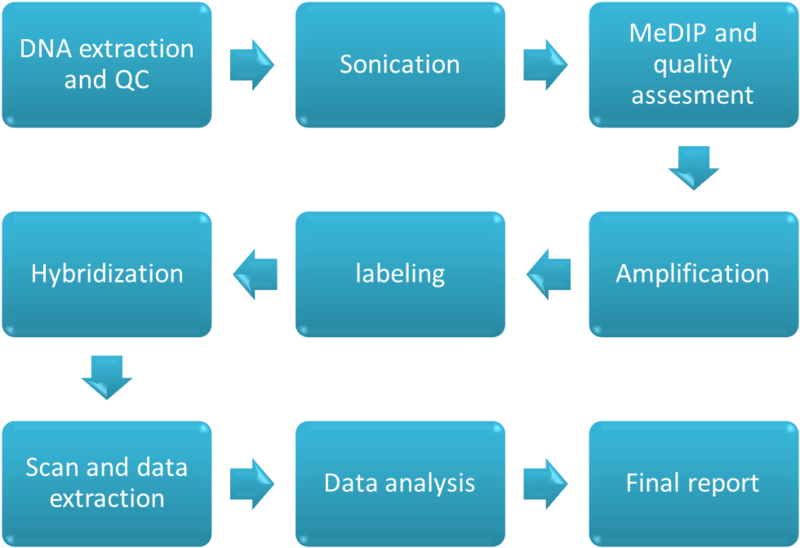 DNA methylation microarray can help to detect the methylation level across the genome. Thus, the methylation mutation site can be detected too. CD Genomics can also help create your own custom methylation microarray. We are ready to help you with your custom array needs, whether it’s a standard design or something more creative. For more details, please feel free to contact us with any questions at any time by completing a no obligation quote request.